To support the expansion of FirstNet – a dedicated communications platform for first responders – specifically to increase awareness and utilization of FirstNet among Native Nations within the U.S.
MABU collaborated with team members from AT&T to identify marketing factors pertinent to emergency personnel working in Indian Country. Many beneficial factors were discovered within the existing FirstNet system that appealed to Native American first responders. Our experience in serving Native American clients translated into an ability to consult with confidence for AT&T. 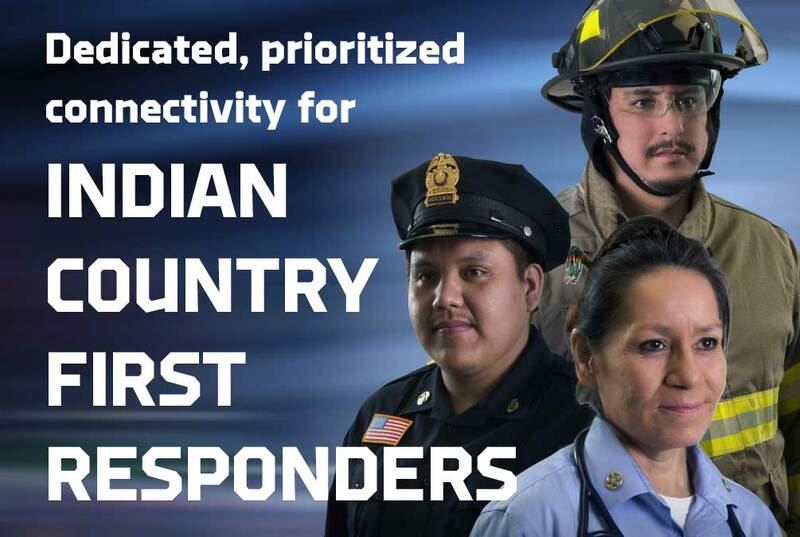 Together, we helped create marketing materials that addressed the challenges Tribal police officers, EMTs, and other first responders face in Indian Country, and how the strengths of the FirstNet platform could help minimize – or even eliminate – these service barriers. FirstNet has established a new level for standards for emergency communications. It delivers an unparalleled level of access to bandwidth and priority communication that perfectly aligned to meet the public safety needs of rural and Tribal communities.